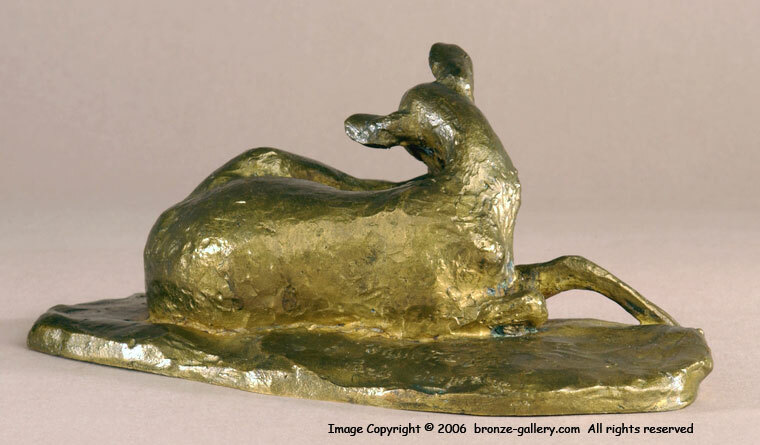 Ary Bitter (1883-1973) was a well known French sculptor who specialized in animals. 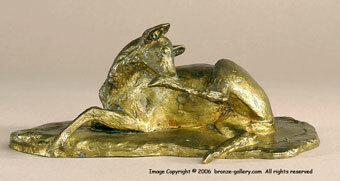 His most popular works date from about 1910 and many are influenced by the Art Nouveau style. He created sculptures of young women with deer and bookends with elephants and panthers. 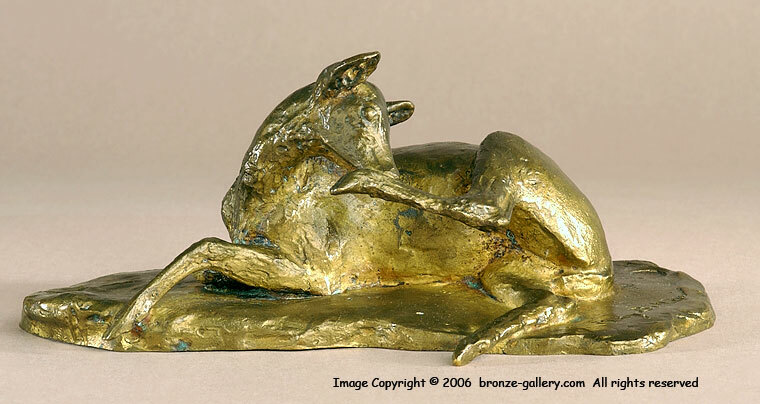 This small bronze of a Fawn licking its foot is a lost wax cast by the Susse Freres foundry and has a gilt patina.